This testimony of mine…I am writing it not for damn records; not for incitement, nor for the purpose of Chapter 5 of RARCSS, or for the sheer fun of blogging. No, I am carrying a hot load. Just let us let it go… I mean for mental offloading or psycho-easing. Of course, I would do my mad self a great deal of disservice if I did the unilateral blocking like thousands of my scared fellow citizens whose rights to write or riot are rotting in their throat with rage, or in their head with hate. Yes, let us pick and speak our learned minds while hot; why not? Today, 31 January 2013, I rushed my dear life out of Juba! Twelve months later, same day, I heard Cde. 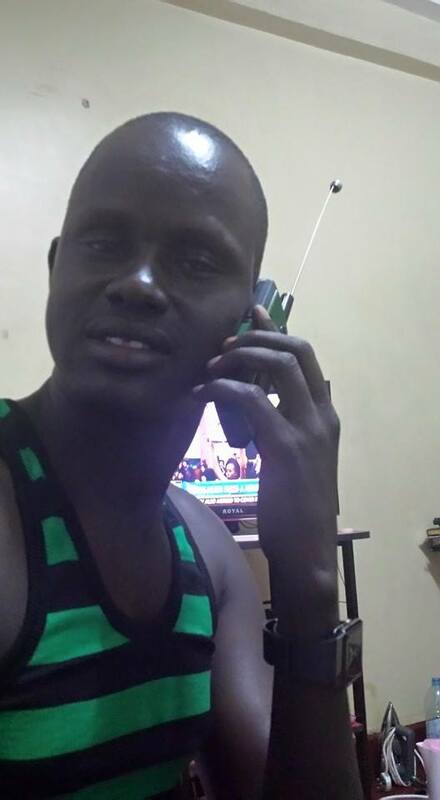 Lam Chuol Thichuong was murdered during the Juba Massacre, yes, by his close friends. Lam had just saved my life by smuggling me out of Juba Airport that fateful January. So, now, I am Lam! Alas, nobody did the same to him 11 months after my escape! I mean my war was in the other December (2012), the group of the late Isaiah Abraham’s. Karbino Kolen Zulo was snatched on a boda boda from behind me as I sped into the airport. I gathered he was tied on a tree and beaten to death by David Yau Yau a month later in the Murle territory of former Jonglei State. Please, ask me not how and by whom the peace campaigner, a Murle himself, was taken from there and delivered there (Juba Airport to the bush)! I hear his major crime was that “he was working with Kuol Manyang.” My peace campaign chairman, a Pibor traitor, right? A year exactly from Karbino’s crucifixion at the altar of peace that he tried to mend with his tribe’s ‘enemies’, Gen. Yau Yau found himself working with the very Kuol Manyang–as his Defence deputy. Therefore…?!?! The late Karbino’s Kollen’s boarding pass that did not come to pass…! That made me the pre-war refugee to quit my brand new, one-and-a-half-year-old baby republic and fellow countrymen just 6 months after Capt. Mabior Garang did so. Dong Samuel took off five months while I was already a registered asylum seeker in Nairobi. So, this thing started way before the actual war. Then Dr. Riek Machar, Madam Angelina, Mama Rebecca and a million others 11 months after. Only to be trailed by the G11 (former detainees) in weeks, and — o dear — 2 million out of the 10 several months and years consecutively! SO WHY FAILED TO FLY HOME TODAY? To all except none, or one, I had not disclosed my plan to fly in to Juba on the day I flew out. Today of course (31 January 2019). No, I failed. Yet, for these and other reasons. Just 50 days ago today, Lt. Job Anyang Aluong, the man I followed in birth, the one who escorted me to Juba Airport today in 2013, the very one who would have received me from there today in 2019, went missing from his house at Hai 107 in Juba (the 9th night of December in 2018)! Job is an officer of the South Sudan Army’s Medical Corps and was deployed to Pochalla County in Boma State (former Jonglei). He came home on sick leave. My brother, a freedom fighter, who joined the liberation war in 1986 and was there hitherto, had nothing to do with the ongoing idiotic lunacy that we call ‘politics’, business deals in Juba, or any present on our ‘Wild, Wile Wire’ (internet craze), but had only social buddies usually at drinking joints. His health was not up to date, but even if it were not, what kind of illness can kidnap a father from the midst of his 4 sleeping children without trace…? No further speculations here because the family is still in a status declaration dilemma. As if that is not enough, 6 months ago yesterday, Peter Biar Ajak was arrested upon his homecoming arrival and is still being kept incommunicado. He is neither covered by the amnesty of the September peace signatures whose ceasefire (CoHA) Agreement was penned 14 months before. 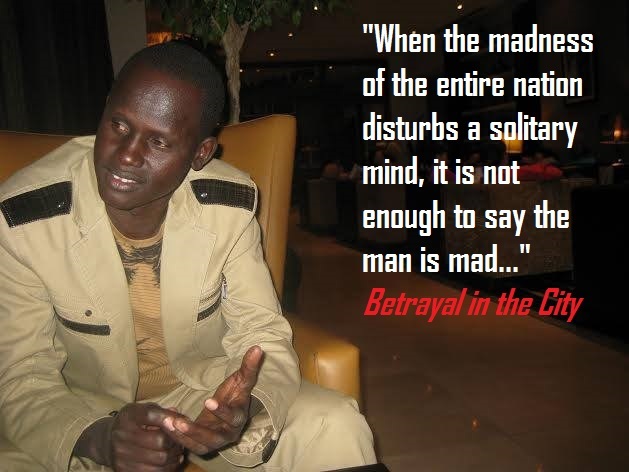 If activists (like Prof. Jok Madut Jok of Sudd Institute) are being arrested on arrival, then my friend (a Juba-based receiver) was right to ask me to first wait and see, and seek to return home 6 months later–after the arrival of all the parties at Juba–and, maybe, during or after the RTGoNU (Revitalized Government of National Unity) is inaugurated, and then rated in terms of peace and democracy. I am still planning…! As per now, I am told they are still busy in that Agreement’s ‘Chapter 0’ (zero) christened as ‘Trust Building’. Well, this is not some mansion being built at Hai Amarat but the act of good will in good faith (letter and spirit) in the implementation journey of our peace process. So why the hell arrest the would-be forgiven on arrival or the opposition supporters in their houses? Oh, no! The above are not the sole reasons that made me tarry beyond my planned solo exodus deadline. This reason is somewhat positive. I did not plan to go home empty-handed. After participating in and witnessing the signing of the Revitalized Accord for the Resolution of the Conflict in South Sudan (RARCiSS), I decided not to come home with a politician but rather return as or with an investor. Kalas, I did not fine one with a business interest in literacy (or literature) but only or all in politics! Of the 25 ready manuscripts (raw books) in poetry, essays, plays, diaries and what have you of our liquid history (these wars), I would come with at least 5, comprehensively published. Well, I still will. So, watch this space and others of my literary activism. Oh yes, the least, but not last, on my aborted homing itinerary is this. Some unfinished business at the ‘Ivory Tower’ (Makerere University). So, if in matters Home, I want to come in full. My conclusion carries another inclusion, thus. Since the story is not finished completely as I would not want to be completely finished, Part Two of this is entailed and detailed in a book of letters entitled ‘Posthumous Epistles’ (33 letters Over My Dead Buddy). One of these letters is addressed to Lam Chuol Thichuong. It is a while-you-were-away lamentation account of my experiences, and y/ours, too. The posthumous epistles (by this human rights apostle) are a 5th anniversary war dedication not only addressed to Maulana Lam Thichuong, Maulana Dong Luak, Maulana John Akuach Jook, Eng. John Louis, Uncle Gen. Ajak Yen, my daughter Ageless Angel (or ‘Adhieu) that passed over at stillbirth, Dr. John Garang, Pope John Paul II, Mama ‘Youth Mama of Leudier Cathedral’ etc., but to all those who were killed, maimed or both by this senseless war over useless leadership in this era of error on our nasty history of our nascent nation. As President Yoweri Museveni would ask, “Want another rap? Yee, Ssebo!” So you want another read…?